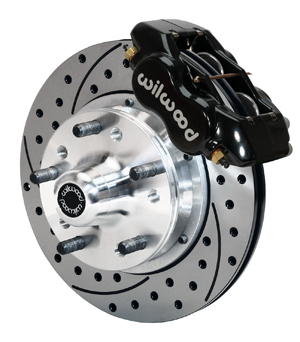 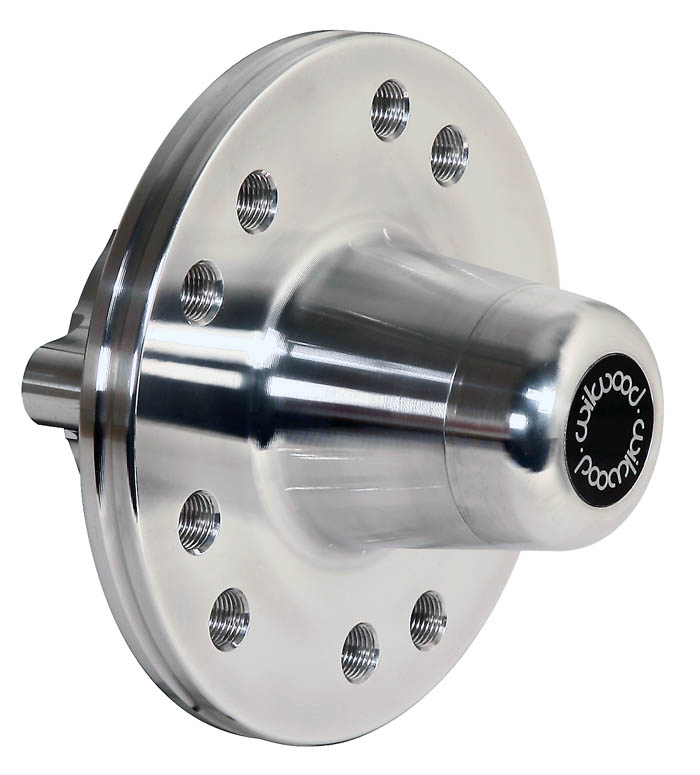 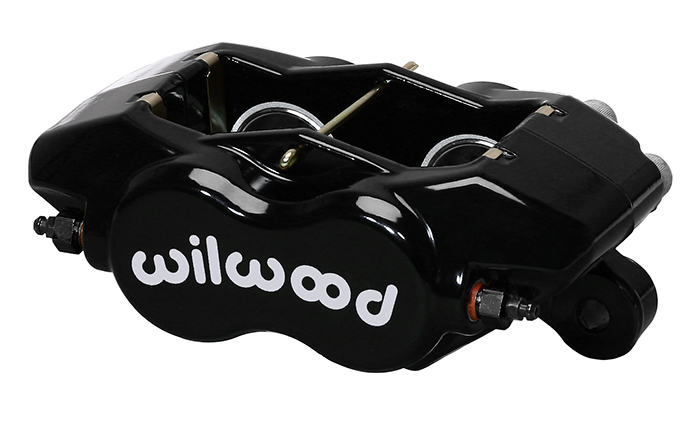 Wilwood's new limited offset FDL Pro-Series Front Hub Kits for Dodge & Plymouth 1965-1972 A-Body vehicles, offer disc brake upgrade solutions for OEM 10" inch drum brake spindles. 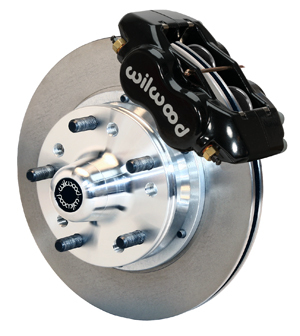 We have completely redesigned our Pro Series line of brake kits using a larger 11" rotor and new forged aluminum hubs with the express purpose of maintaining the factory wheel position. 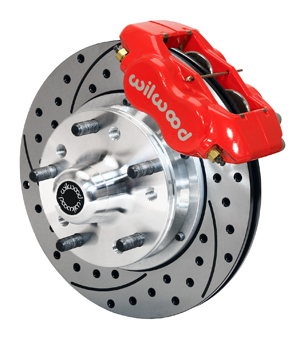 This new kit widens the track with by only +.20" from original Drum brake position. 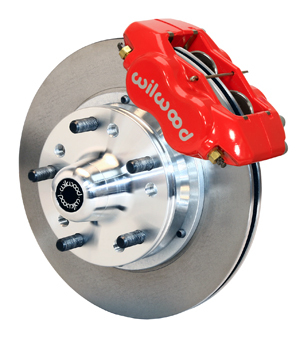 Based on the venerable forged billet Dynalite caliper, these versatile kits are easily optioned to suit the braking requirements and style preferences for a daily driver, serious competition, or the most discriminating show enthusiast. 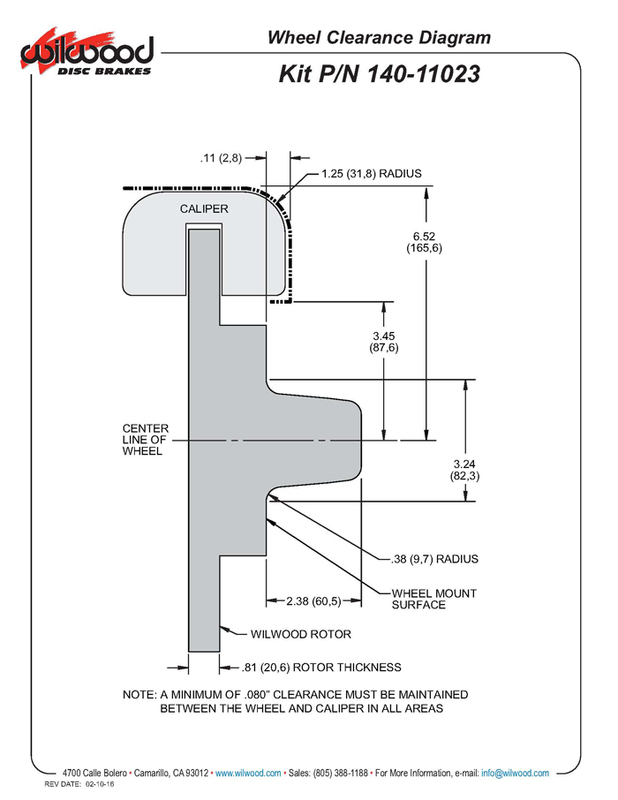 Most vehicle applications require no modifications for installation, and provide plenty of clearance inside popular 15" wheels. 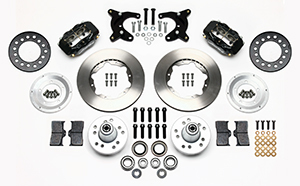 FDL Pro-Series kits can be used with either manual or power boost master cylinders. 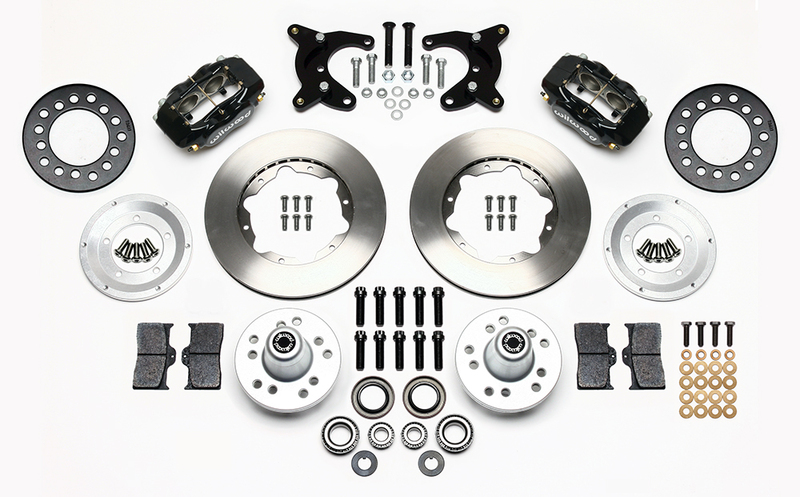 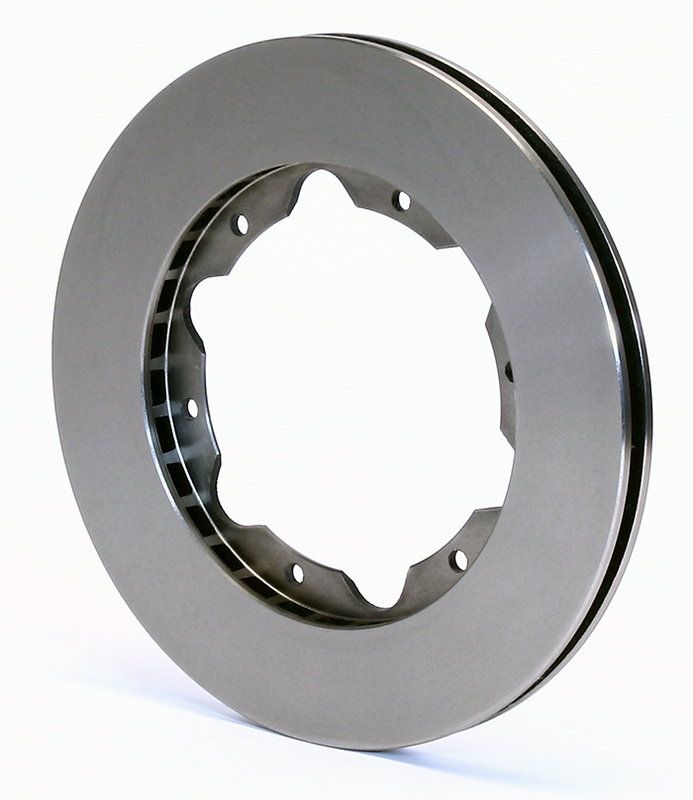 Kits come complete calipers, rotors, hub assembly, brackets and hardware. 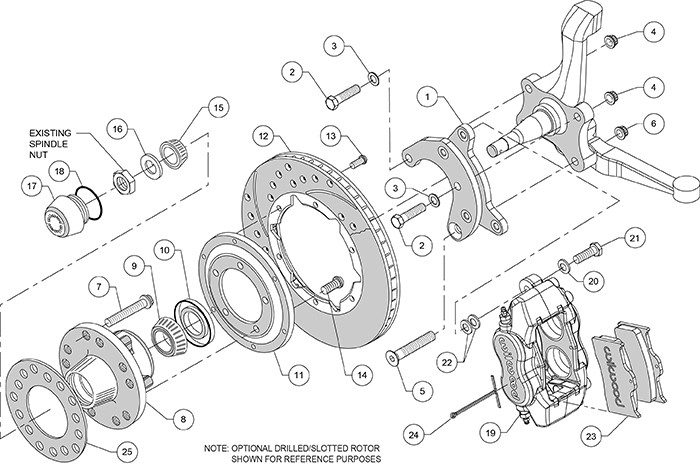 Requires purchase of additional brake lines shown below.